It is believed that love of mobile game play with friends for a “haunted house” which is full of magical color of educational puzzle game has left a deep impression. So, what’s the sequel to “the haunted house II will bring everyone more novelty and pleasure. In its ghost detective “Hector” although destroyed the world “building” ghosts of all YuanGui, calm the a moment of crisis, but also unwittingly destroy the continuity of space and time. His punishment was drifting aimlessly in the chaos in time and space. In the end, dimension of “ghosts” building opened the door to him. 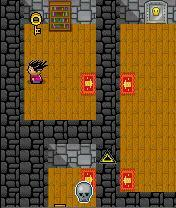 Face “ghosts building” than the world a more dangerous situation, “Hector” had to drum courage, adventure everywhere, as far as possible to collect as much evil force head, the door to open the solution space. Hector first appeared in the great hall of the “ghosts” building. First look at the surrounding environment, found that most of the paint on the door of the room, there is black skull to collect enough number of skulls. Back to the starting position and noticed that there is a “notice”, behind the wall can be a magic adventure after careful reading. Practice level, the purpose is to new to fit players familiar with the rules of the game, in order to go smoothly, so the more simple. First take a look at the notice on the wall, confirm the game’s quick tips and customs clearance condition, and then get the room keys in turn and skulls can pass a barrier. Back to the hall and found have to tick mark in the door behind him. On the steps on the first door on the right side of the black skull has ceased to exist, seems can explore into the inside. 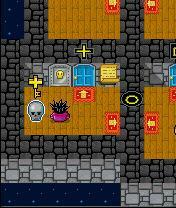 This point also relatively easy, as long as, in turn, obtained the skulls, inside the room key can pass a barrier. Note some ground in the room will be cracks, subsidence, so be careful if you in action. 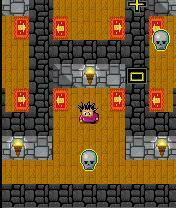 When open the triangular door, go down the skulls and keys can be pass. EasyKey tip: first use zombie pushed the wooden cases to the space fills up, increasing the distance of the move, recycled blue iron box trapped zombies walking around. Key tip: turn pressure switch boxes, in some cases can be reused.